This article covers the steps on how to get from Male Maldives to Villingili Island using the public ferry. Villingili Island is one of the closest islands to Male, the capital of Maldives. This is the reason why it is very convenient to go to Villingili on a day trip if you decide to stay at a hotel in Male. But it’s strategic location is not the only reason why you should visit Villingili. 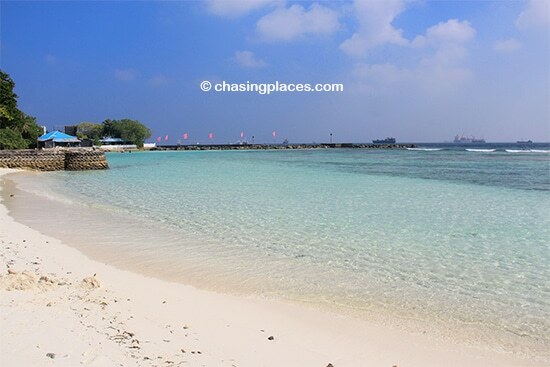 Similar to most islands in the Maldives, it is beautiful, gifted with its own white sand beach and clear blue water. Villingili is very different from its neighbor, Male. It’s smaller, quieter and much smaller. It’s definitely a worthy day-trip destination if you have a couple of days in Male. It’s possible to visit Villingili Island without chartering a private boat. Taking the public ferry is cheap and still very convenient if you know how to do it. 1. 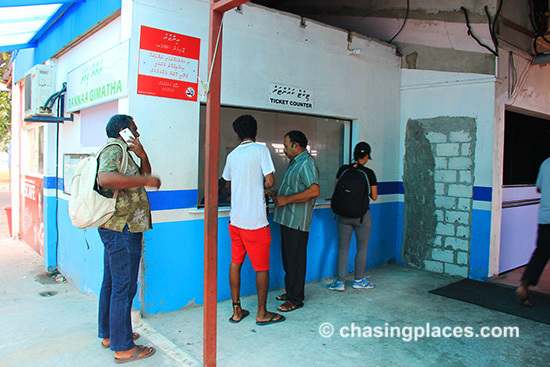 Go to the Villingili Ferry Terminal on the southwest corner of Male Island. This is where the ferries going to Villingili pick up passengers. The port is easily accessible from Male’s coastal road. Please take note that the ferry terminal going to Villingili is NOT the same terminal as the Hulhumale Ferry Terminal, which is on the northeastern section of Male Island. 2. Proceed to the ticket counter to purchase your ticket. 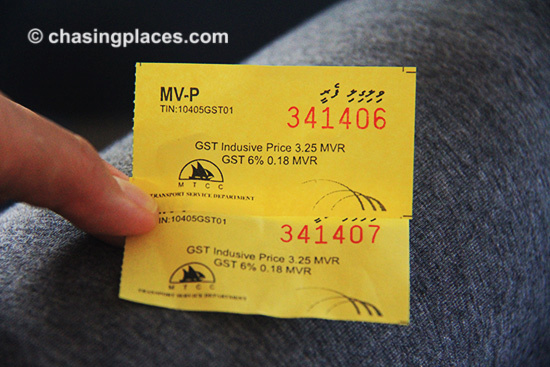 The one-way ticket price we bought was 3.25 MVR (Approx. $0.20 USD). Take note that this price is subject to change but it should still be relatively cheap as the ferry is meant to service locals who make this trip almost on a daily basis. 3. 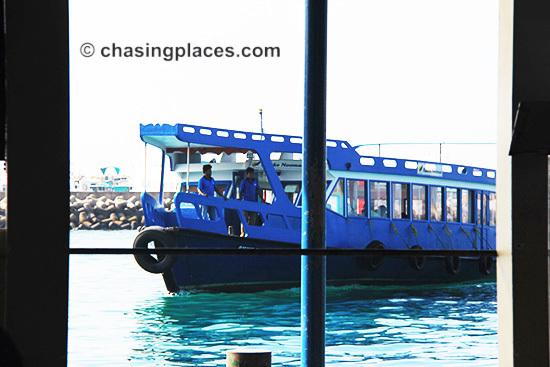 Make sure to board the right public ferry to Villingili. Take note that there are other ferries that depart from this terminal to other destinations in the Maldives. So make sure you’re getting on the right one. Do not hesitate to ask one of the staff of the ferry if you’re unsure. Better to be safe than sorry! 4. Enjoy the ride as it does not last long. The total journey from Male to Villingili Island Maldives is only about 10 minutes. Yep! You heard it right. Make your way back to the Villingili ferry terminal where you got drop off. Purchase your ticket from the visible counter and then board the ferry. As mentioned, boats from Male to Villingili and vice versa run frequently and apparently, the ferry runs 24 hours. But please verify when the ferry stops operation during the day of your visit as the ferry schedule is always subject to change. * Remember that the public ferry is meant to serve the locals. There is still an assumption that tourists (especially westerners) are rich enough to afford a private boat transfer. Therefore, when you buy ferry tickets, try to be low-key about it. *Do not to cut in line and gain unwanted attention. Be always respectfully. *Try to buy a maximum of two tickets at one time. If you’re traveling with a group, ask another person in the group to fall in line to buy the necessary tickets. *Maldives is a Muslim country. Dress modestly when in public places especially on ferries. You will not get arrested for wearing shorts or tank tops but you will gain some unwanted attention and will stick out like a sore thumb. Dressing appropriately is a sign of respect for the local culture and beliefs. 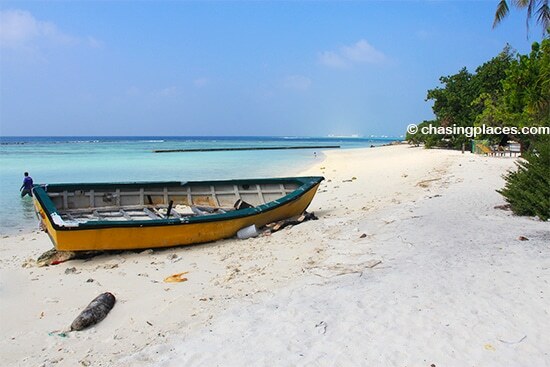 *Bring sun protection, snacks, and water as there are not a lot of convenience stores on Villingili Island. It is a great place to have a relaxing picnic by the water. But please clean up after yourself. *Unless you plan to stay overnight, there is no need to pack heavy for your visit to Villingili. Carrying heavy bags will only make your disembarkation from the public ferry more difficult. You’re just going to experience unnecessary stress. 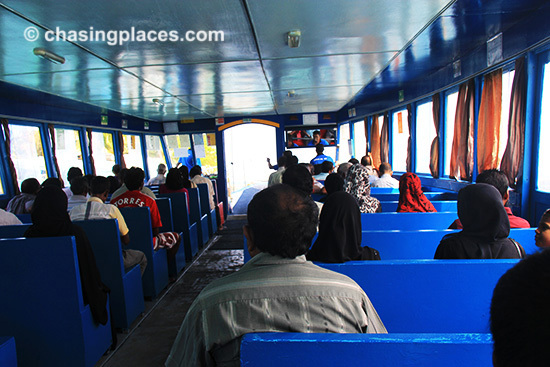 This is your guide on how to get to Villingili Island from Male Maldives using the public ferry. We hope that this guide will help you plan a wonderful independent trip to the Maldives.